A Coggins test is a sensitive diagnositic blood test for Equine Infectious Anemia, a very serious viral disease transmitted to horses by bloodsucking insects. 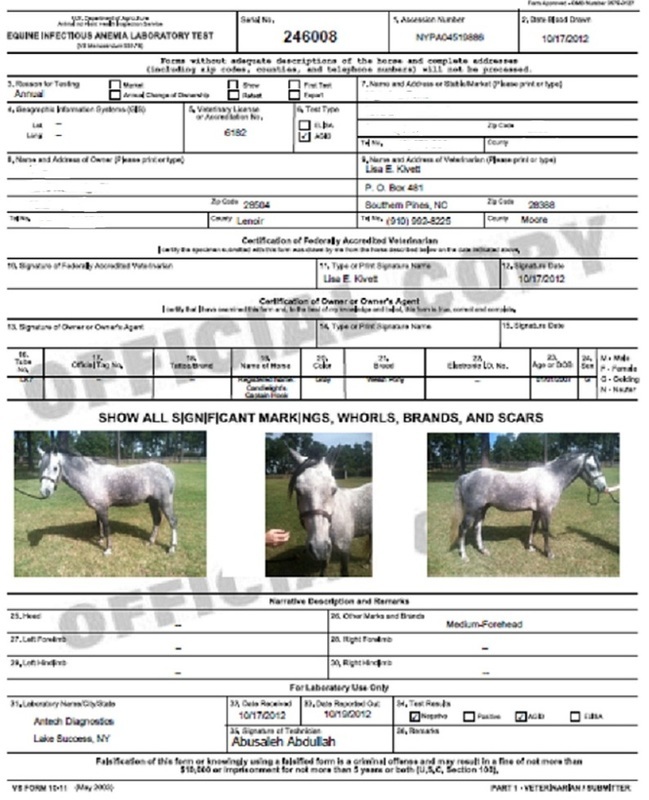 A negative Coggins test is required for interstate travel, as well as admittance to many equestrian events. We provide testing as well as electronic access to results. In a rush? Ask us about expedited testing! 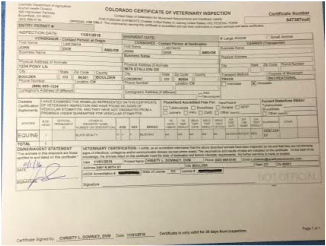 A health certificate is a legal document signed by your veterinarian attesting to absence of signs of infectious disease in your horse. In most states, a health certificate is valid for 30 days after it is issued. It is required for interstate travel, and most instances when a horse is travelling intrastate as well. Be sure you know the requirements of your destination to ensure a stress-free trip.